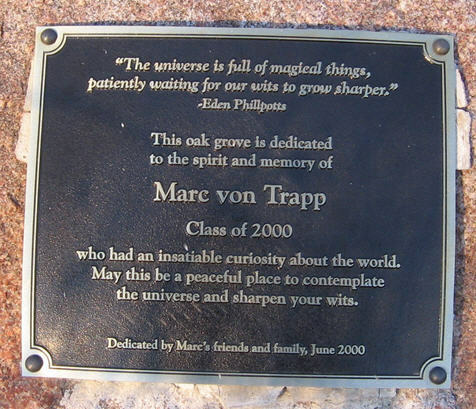 This oak grove is dedicated to the spirit and memory of Marc von Trapp, class of 2000, who had an insatiable curiosity about the world. 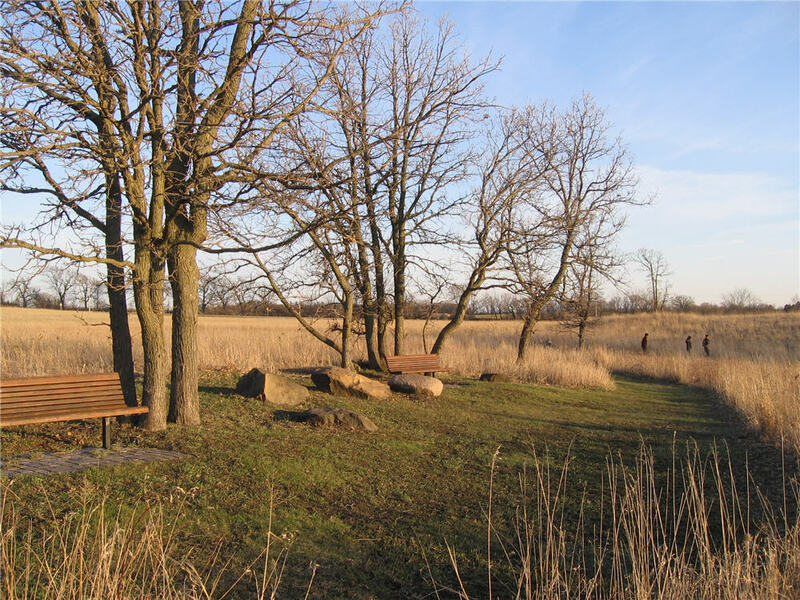 May this be a peaceful place to contemplate the universe and sharpen your wits. 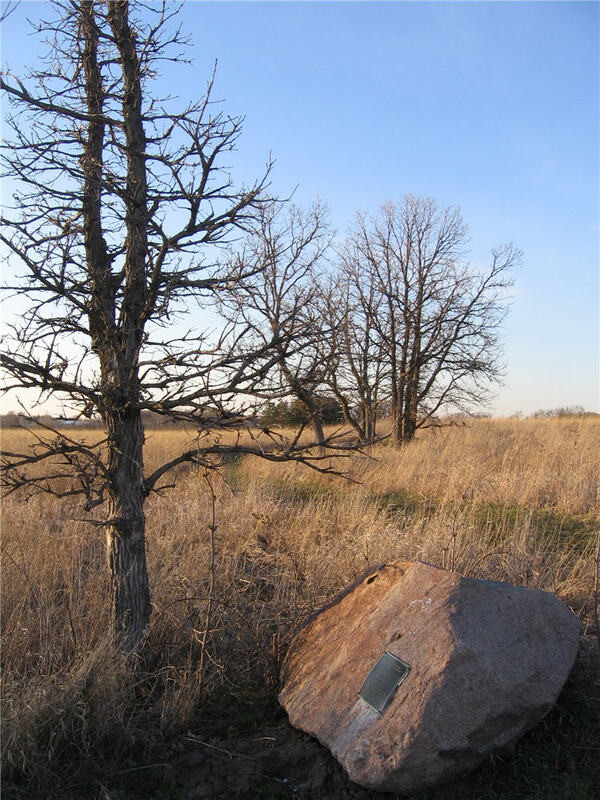 This is an ongong series of blog posts on all the memorials in the Northfield area. Want to help? Contact me with ones you know of. Include photos and text, if possible. I’ll credit you. 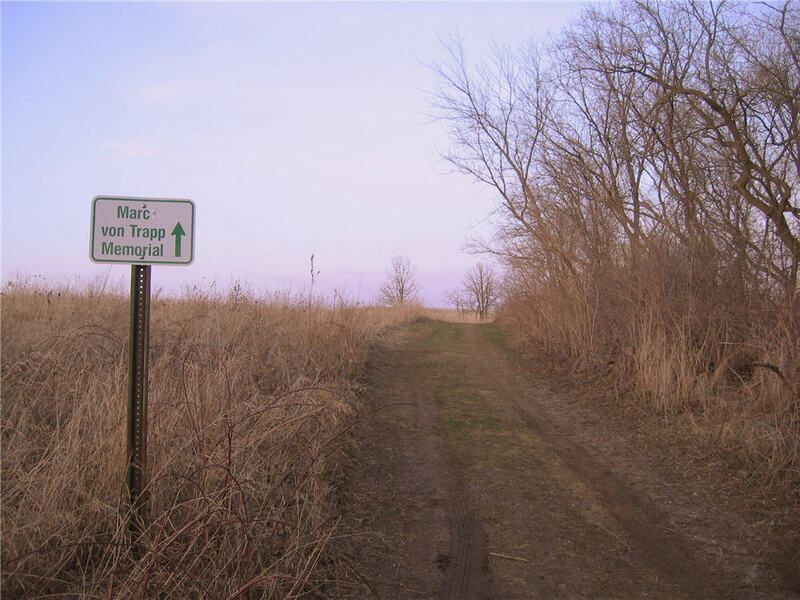 I’ll also tag/categorize all these blog posts with “Northfield area memorials” to make it easy to see them all in one place. I thought of this blog post last week when the AP ran a story about Maria von Trapp’s return to her “Sound of Music” home. One of my St. Olaf classmates, Lynne Peterson, married a von Trapp 39 years ago after working at the lodge the family has in Vermont. I saw her at our last reunion and she is now a dog agility trainer and competitor. She “sang in church choir until I lost my singing voice a few years ago.” Julie Andrews has lost her voice too now after a botched operation. Sad. The hills are no longer alive with the sound of her music.